Decent bourbon, but not a great one. Ah, Willett. What can I say? They’ve been on a roll lately. Between the Pot Still Reserve (87/100) and the 10 year Family Estate Bourbon (93/100), not to mention the 4 year Family Estate Rye (90/100), they’ve been knocking it out of the park lately. So it was with no small amount of excitement that I found local Louisville (#BourbonCentralUSA) big box chain, Liquor Barn, participated in 3 barrel select programs through Willett’s Family Estate bottling. Of the three, I chose two bottles: the 8 year and the 9 year, both a robust 119.6 proof. If you remember, the 10 year earned one of our higher scores of the year so far in our previous review. So I was excited to try the 8 year and compare. 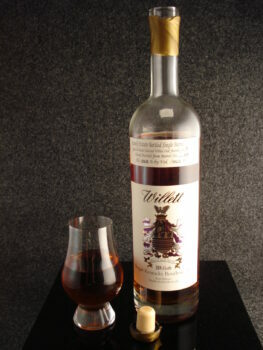 From the previous review: The Willett name is a popular brand in the bourbon world today. 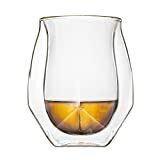 Operating for several years as independent bottlers in Bardstown, KY, all the of the bourbon released thus far has been rectified bourbon, meaning it was distilled elsewhere, and purchased in the barrel by Willett to be released under their name. Willett recently finished construction of a still in Bardstown, KY, and has begun production on bourbon on-site. Until that bourbon is aged long enough for release, their bourbon will be sourced elsewhere. In particular, this bourbon is aged around 8 years and released at barrel proof, making it a very popular release. This bottle was purchased for $75 plus tax. It is 8 years old. Pulled from barrel #106, it is 59.8% ABV. Traditional tall, sloped-shoulder bottle with a cream label. 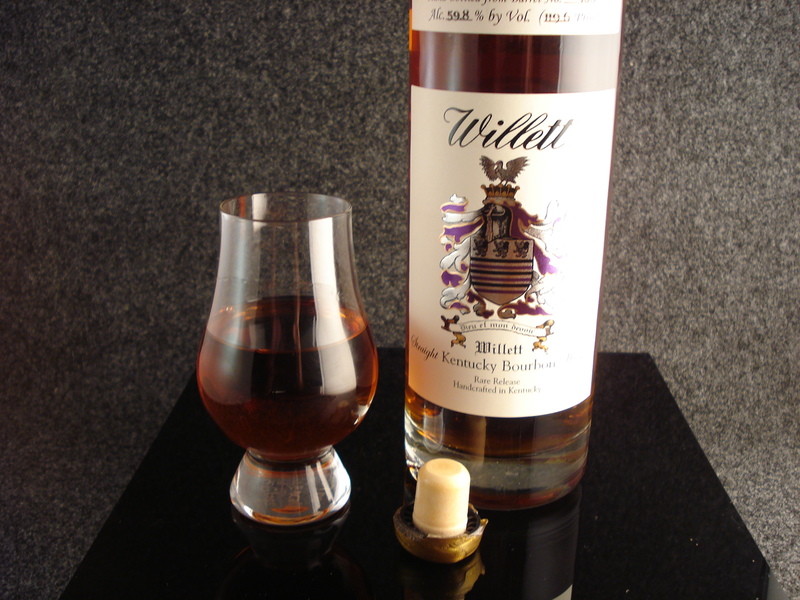 The Willett crest is proudly displayed front and center and the barrel number and proof are listed on a separate label above it. The cork is waxed, and the color of the wax varies based upon the distiller’s whim or the customer’s discretion. This bottle was gold. It’s a very attractive packaging, worthy of a prominent space on a bourbon shelf. 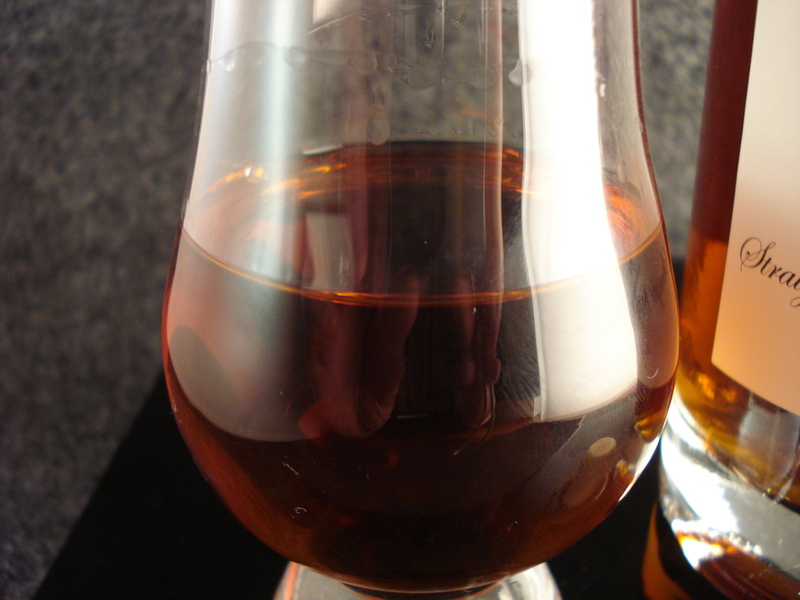 The bourbon is a dark, cloudy, inviting amber. Yeh…that’s a “healthy” pour. I’m not sorry. There is a strong spiciness right off the bat, with hints of pepper, caramel, rye, alcohol, and corn. There is a slight hint of mint on the nose as well. The tip of the tongue seems to skip a little sweetness that I was expecting , and the middle of the tongue gets a pronounced alcohol burn. There are strong flavors of coffee, caramel, oak, and mint on the back of the tongue that develop throughout. It is a stout bourbon, very alcohol-forward on the tongue. Very long, with the alcohol burn remaining prominent, but allowing other flavors to develop the longer it lingers. Pepper remains a distinct flavor to the end. My first taste of this was a bit of a let-down when compared to the 10 year version I’d previously sampled. It just lacked the decadent sweetness and richness of its older cousin. However, I wasn’t finished. After splashing this bourbon with distilled water I was rewarded with some of the flavors I was seeking. Some baked goods popped on the nose with enhanced caramel scents. On the tongue, the caramel was much more pronounced and the alcohol burn was diminished, making this a truly enjoyable sipper. 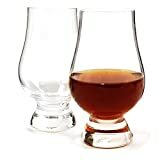 I should also note that the faint hint of mint the tip of the tongue once again speaks to the likely source of this bourbon (It begins with “H” and ends with “eaven Hill”) as well. That’s not confirmed by Willett, to my knowledge, but I think it’s a good bet. The lesson here is that this is a decent bourbon neat, but a better one with a splash of water. Do not give up on a bourbon just due to an initial taste. This, like the 10 year version, is a sipping bourbon, not really suited for mixing, and I’d steer clear of too much ice. ModernThirst.com Score: 88 out of 100 Points.